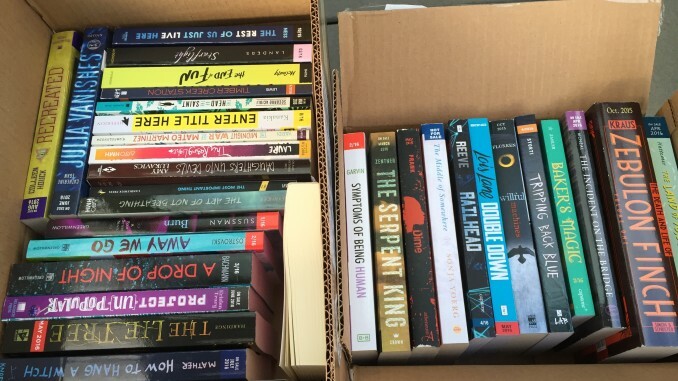 The Blackbird Review and The Book House of Stuyvesant Plaza are teaming up to review highly anticipated YA books. Starting this winter, BBR staffers will be able to select review copy books from the vast collection that The Book House receives every week (the photo on this post is the first haul I was able to get from The Book House). 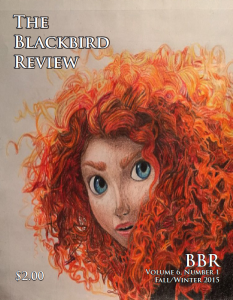 Their write-ups will appear here on the BBR site, but also possibly at The Book House. Plans are also underway to contact publishing houses and connect them with our staffers in the hope of having our staff writers’ reviews used for marketing purposes. This is just another way that the BBR is providing rich, text-based experiences for the students at Clayton A.Bouton HIgh School. We’re very excited to see the reviews starting to come in! On a side but related note, the Fall/Winter edition of The Blackbird Review will be on sale at The Book House of Stuyvesant Plaza, the Voorheesville Public Library, and at Clayton A.Bouton High School after 12/23/15. And on another side note, a huge shout out to Molly Wolford, our Writers’ Group Managing Editor, for just last week successfully hosting our second writers’ group meeting! Started in November, the group has been steaming along serving as a venue for students to come and share their writing. My hope is that it will continue to thrive in the new year. Lastly, our brand spanking new podcast is currently in post-production and should be available on the website in time for the holidays. Look for the podcast on our homepage and also on the soon to be created Media page on the main navigation bar. Whew! There are so many good things happening at the BBR, it’s sometime hard to keep up. But, with the holidays upon us, now is probably a really good time to wish everyone out there peace and joy in 2016. We’ll keep working to bring you the best writing and visual arts, and media that the Clayton A.Bouton community produces.